SUNDAYS WITH SHARON I missed last weeks!!! I‘ll be traveling today back to California from St. Petersburg, Florida, where I attended the NINC conference. One of the topics that snagged my interest was the future of interactive media and the role of audio books, but not the audio books we know of today. We’re talking audio books with multimedia platforms. Imagine yourself being able to “read” a story, and then with the press of a button, being able to get background information about the world you were reading or listening to, or the characters, past plots or characters or worlds. Much like an “online magazine” this could be done as a subscription service. Suppose you were able to learn about love, romance, learn about writing romance, or the love story behind the love story in film, song and the written word. What we have to look forward to is innovation. The changes that occurred in the music business are now happening in the digital print business, where thousands of new Indie books are made available every day. Authors are re-releasing and freshening up old works that sat on a shelf somewhere. Books that were once thought of as not commercially viable by “gatekeepers” are now allowed to find their own audience. In this new age and time, being the biggest isn’t necessarily the best. Being traditional doesn’t have the security blanket it once had. Making a good living is just as important a goal as being the next best E.L. James or Stephanie Meyer. In this interesting time, creativity and innovation are more important than size. That’s what the Indie revolution has been all about. I have begun a quest for innovation and am looking to get involved in this new multimedia platform. There are innovators out there right now who are going to bring you new things you haven’t even imagined yet. An author may not just be a person sitting in their writing cave putting words on the page, but also someone who collaborates with actors, storytellers in voice and film, people who can enhance the story experience. Reading will be combined with listening and research. Think of what we do today with our favorite online magazines. We see audio clips, pictures, hear narrations and can search archives of past related topics, some of them preselected based on our interests. Nothing will replace a good, physical book. Just like there isn’t anything that could completely duplicate the sheer joy I had in listening to my little record player as a child. My friend, J.D. Hart, sent me an antique machine that could very well have been the one I used to listen to. It reminds me that joy is derived through many mediums. The goal of the artist is to connect the “consumer” with the vision in the artist’s head. There is no formula for success. But one thing I do know for certain is that we don’t chase it. 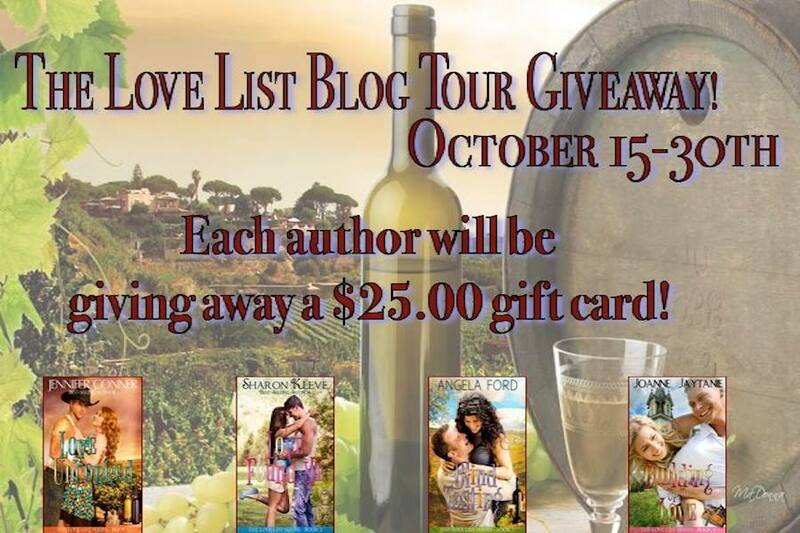 THE LOVE LIST BLOG TOUR GIVEAWAY!!!!! I have awesome news! 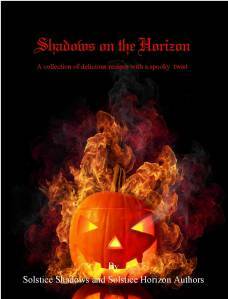 Solstice has put out a Halloween cookbook with new, scary stories and recipes by both Solstice Shadows and Solstice Horizons authors! It is totally free, and if you contact me here or via social media with your email, I can send you the free e-book. How exciting, right? Here is the cover for your perusal. This is a great offer. You can get some free recipes to try out this Halloween. So, step up and I will send that to you! Not a Debbie downer here I believe in miracles probably more so than many people I know. I have seen so much suffering in this life and in my own family however, I am here to say, we need to be brave and willing to say enough is enough. Our body is just our body, our soul will live on. The truth is putting someone through hell on earth for our own satisfaction is so selfish and so cruel. I would no do that to my dog, how could I do that to my own sister, my best friend whom I love with all my heart. I ask that everyone please be in prayer for my family over the next weeks. We are told if we let her go that is about all she has left maybe 2 weeks. She is tired. SUNDAYS WITH SHARON I love these so much! I’ve bought several colorful pieces of artwork over the past year that just make me happy looking at them. I bought this piece to celebrate the completion of another book. I knew when I first saw it, I had to have it. We decided to prominently display it in our living room. 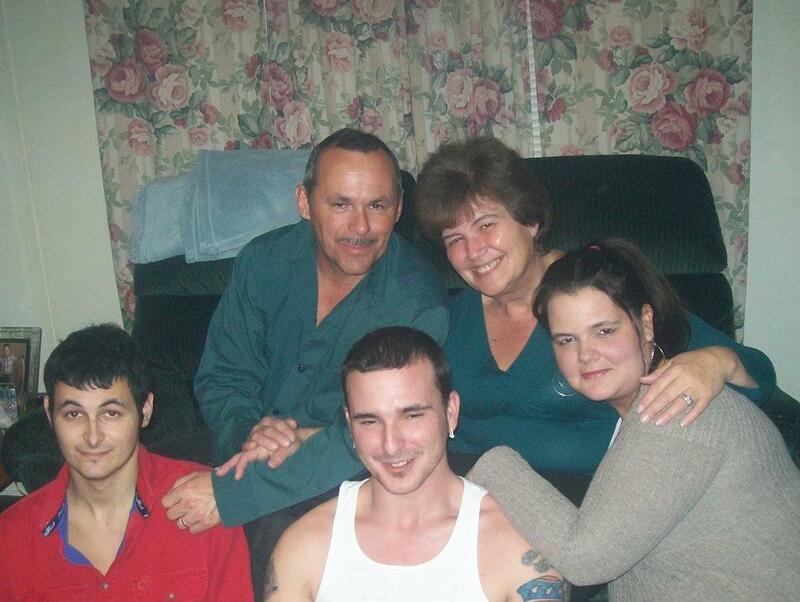 It was something that characterizes our family, and our family’s history. Since the words on the piece might be too small to see, I thought I’d list them in this post. 1. We do second chances. 5. We do I‘m sorrys. 6. We do loud, really well. Sometimes I think we spend too much time thinking about the things that didn’t go right, when all the great lessons in life come from the things that go a little wrong. Sometimes that go a lot wrong. I’ve been spending a lot of time writing recently about family, or lack of family, and how that impacts a character in my story. My family is very important to me. And just like everyone’s it too is flawed. But yes, I believe in second chances, in being loud, in loving more than disapproving, making mistakes and being sorry. I just thought I’d keep it simple today. Keep it real. Check out this Blog Tour! Click to View Full Story and enter Contest!!!!!!!!!!!! Awesome Prizes!!!!!!!!! New and Exciting Book….Check it Out!